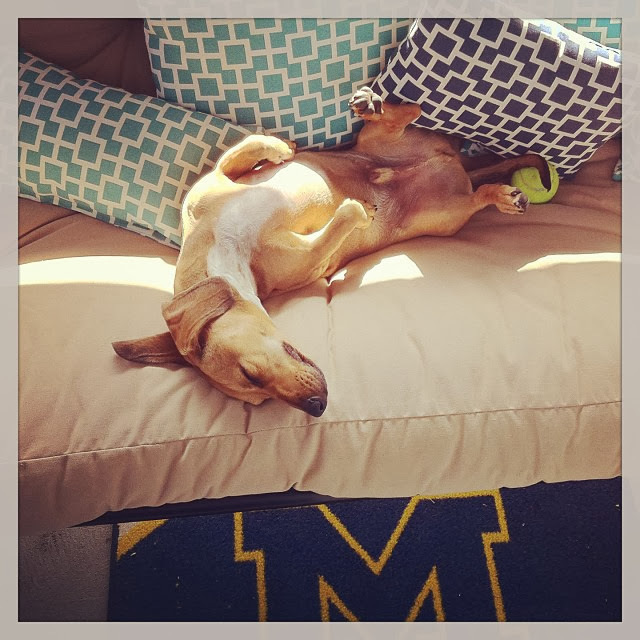 This was the scene I came walked into to on our porch futon this weekend... Walt snoozing and sunning his belly... He has such a "ruff" life, doesn't he? !